Regardless of the season, these easy additions can create a cozy home that welcomes everyone who walks through the doors. I’ve slowly transitioned my craft room to a media room, but it also needs to double as a living room when guests come over to chat as I don’t want them in the back of the house where real life happens, (read: messes, haha.) As of late, this room off of my foyer has been filled with stinky tween boys and gaming controllers while Fortnite lan parties go down. 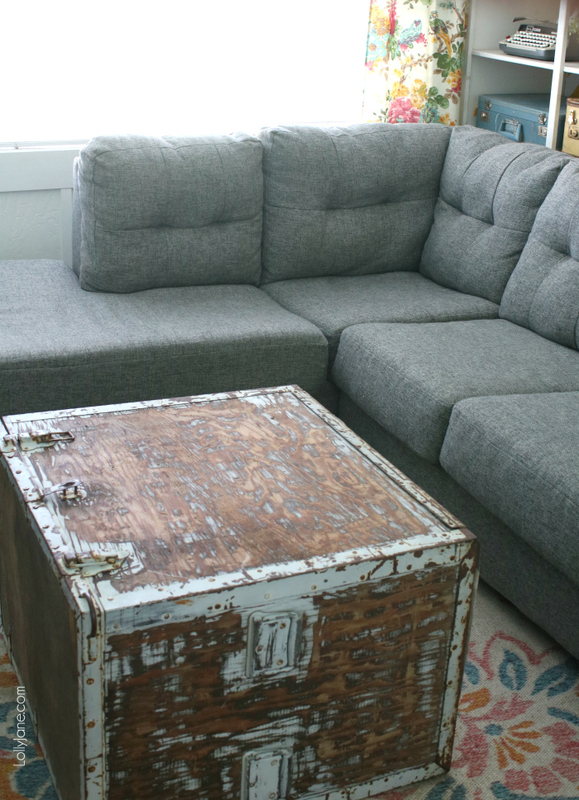 I am taking back my space and have gotten more organized with their things by putting them in baskets after each use and by adding this thrifted trunk to use as a coffee table; my idea is to make the space a little tighter to encourage sitting down on the couch to visit when my friends are in there and to set drinks or snacks down onto when the kids are in here. How do I make my house cozy? 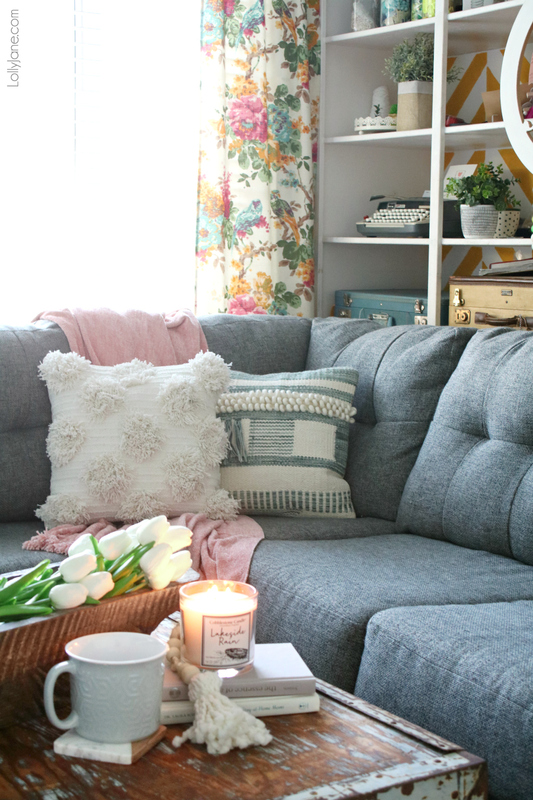 Bundle accessories: To really make this space approachable, I needed some ambiance. 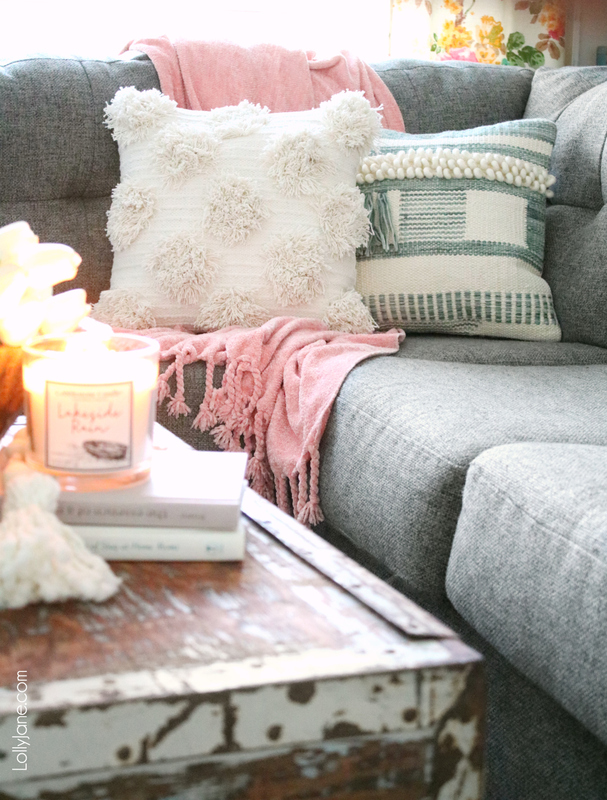 I gathered some pretty items at Kirkland’s to place on the coffee table trunk and while my kids are in here, I am able to safely store on the shelving behind the sectional so it doubles as decor and when I need it those few times a month, I simply pull them off of the shelves and set them down to add instant cozy! 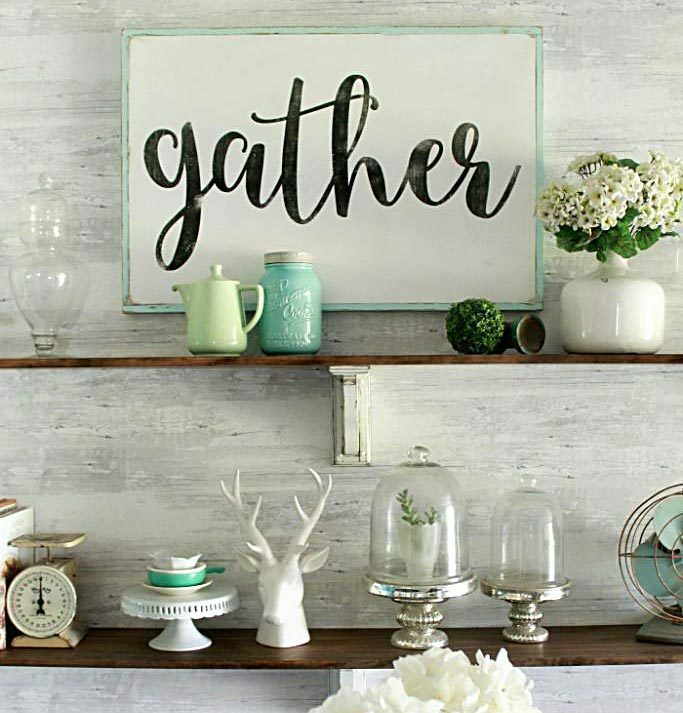 Add unexpected items: I love shopping Kirkland’s because you never know what you’re going to find with one of a kind pieces! For example, instead of a standard tray, I opted for this gorgeous thick dough bowl that I filled with 3 bundles of white tulips. Kirkland’s has the most gorgeous selection of faux florals… I got lost in there for a good 20 minutes and had to pull myself back to reality of it being so chilly outside in the desert. 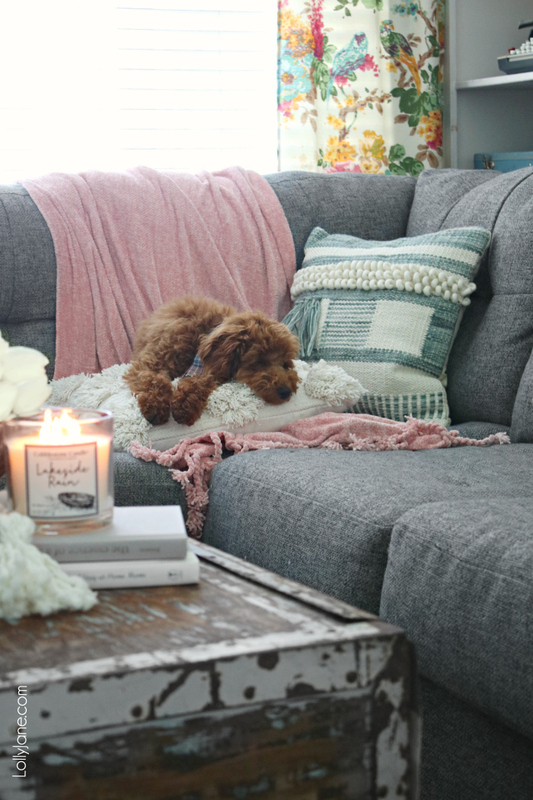 While it it’s cold outside, it feels warm and springy inside! I was surprised at the realness of the look and feel of these tulips; you can’t tell they’re not real unless you smell them! 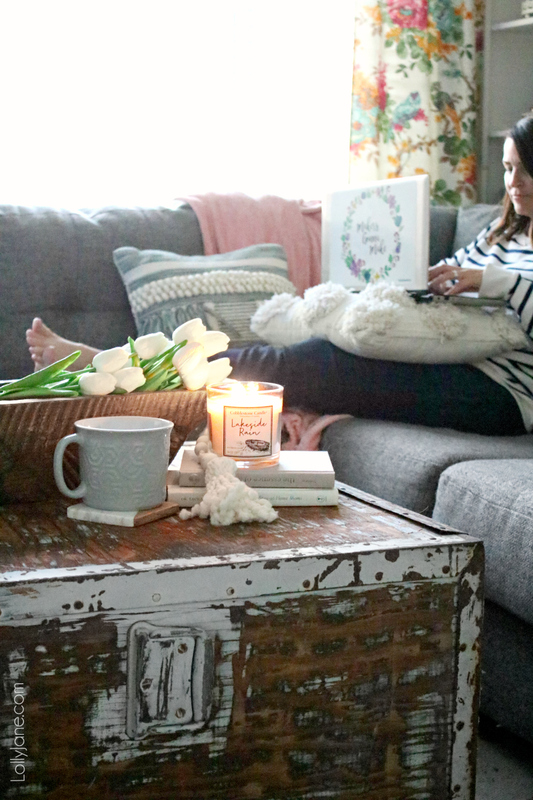 Light a candle: Speaking of smells, I love the powerful scent of the “Lakeside Rain” candle that automatically covers up the fact that this room doubling up as a space for teens! 😉 I found these square coasters that offer a modern farmhouse vibe with marble on one side and weathered wood on the other. They’re perfect to set my cup of cocoa onto this chilly time of year while friends visit or while I snuggle into the couch do some busy computer work solo. Big thanks to Kirkland’s for sponsoring today’s post. As always, all opinions are our own. May contain affiliate links which means we earn some pennies if you purchase through our link, at NO extra added cost to you. Thanks for supporting LJ! I could look at pics of your home all day! 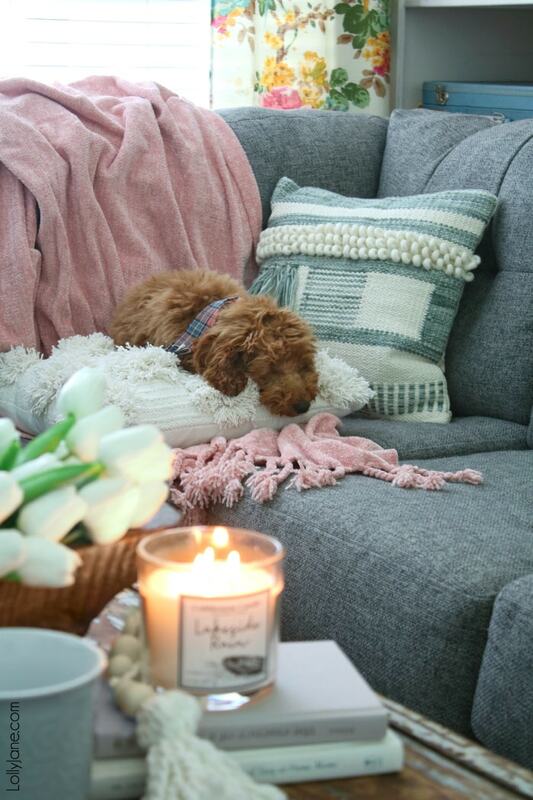 💕 You have such an amazing talent as a decorator, I love all the colors you put together and it always looks so cozy, I wish I had the eye for that but I’m afraid most of the time I’m a copycat, lol. I can always see the love you put into your home and your fur baby is adorable! Where is your sectional from?